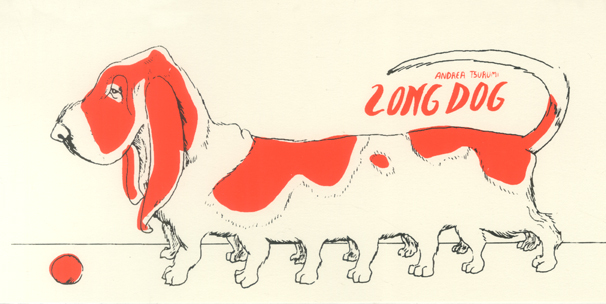 Long Dogs are 7″ x 11″ digital prints from Andrea Tsurumi’s original illustration. They come unframed in a protective plastic sleeve. Andrea Tsurumi’s work is playful, attractive and perfect for lovers of comics, cartoons and graphic media. Long Dogs are digital prints of Tsurumi’s original illustrations. Long Dogs are available in three styles: Corgi, Dachshund, and Basset Hound. Please specify which style you want in the order notes during checkout.